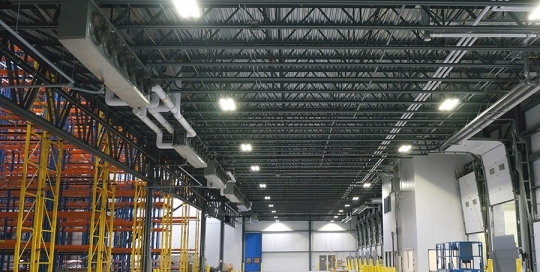 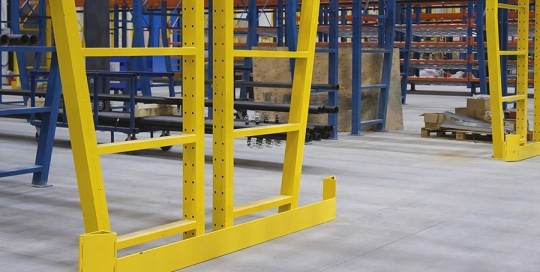 Structural Steel are extraordinarily capable of withstanding wear and tear of difficult industrial environments and are resistant to impacts of forklifts. 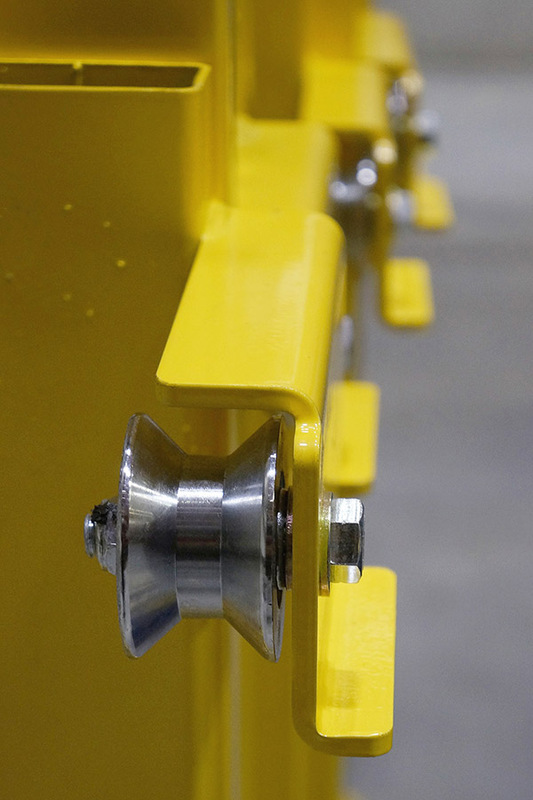 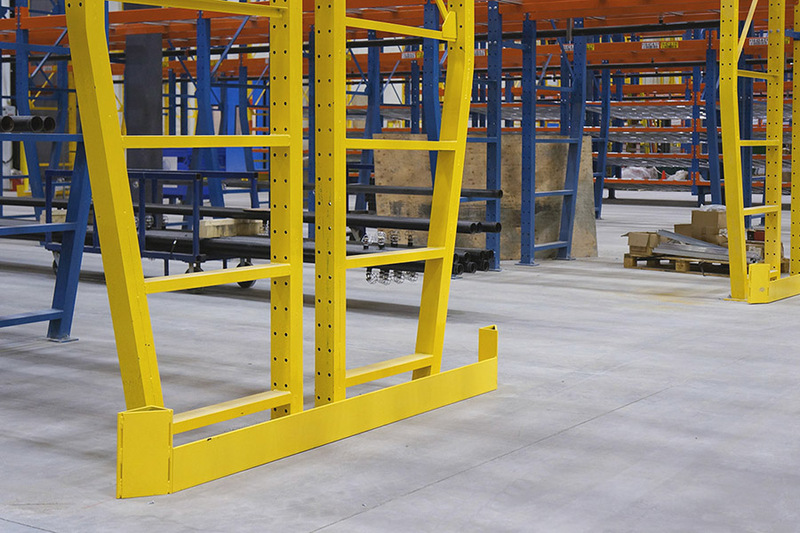 Post protectors and end-of-aisle protectors are made of structural steel and safeguard your palletized storage systems against damages to the post which can compromise the safety of your warehouse. 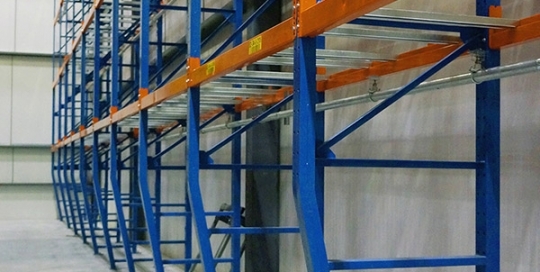 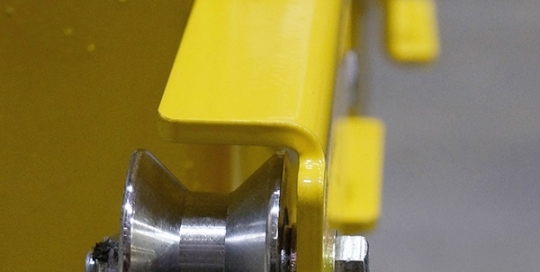 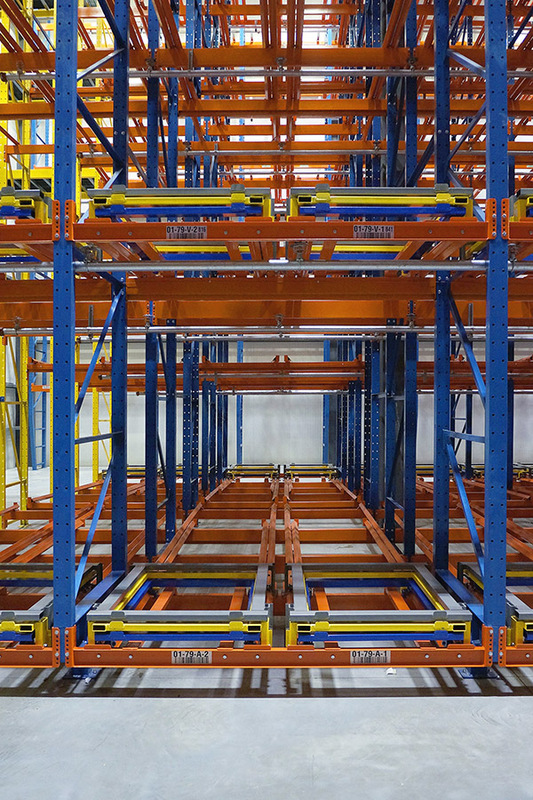 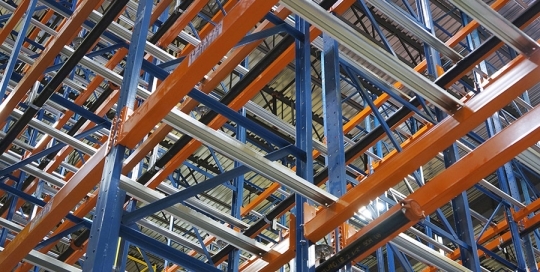 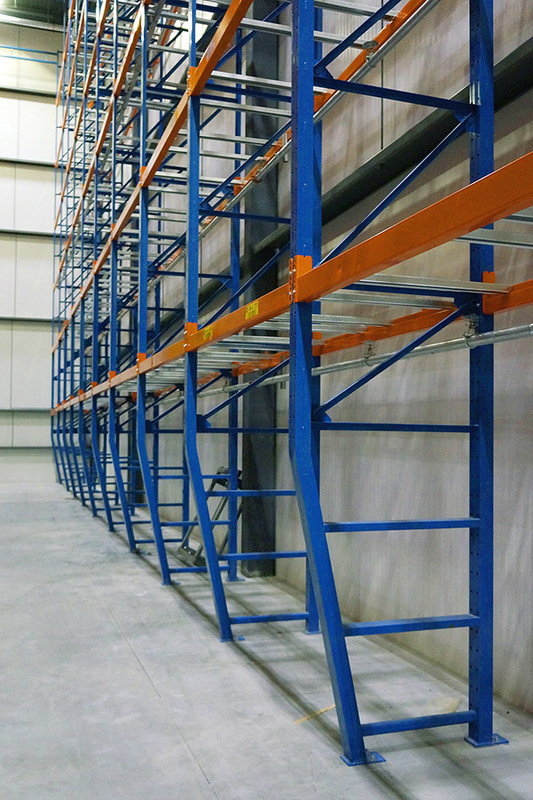 Safety Bars are enhances the safety of pallet racking systems. 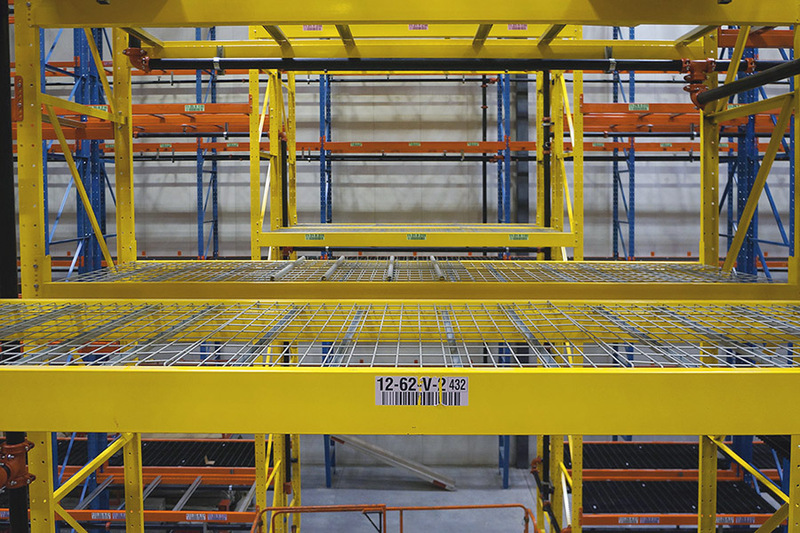 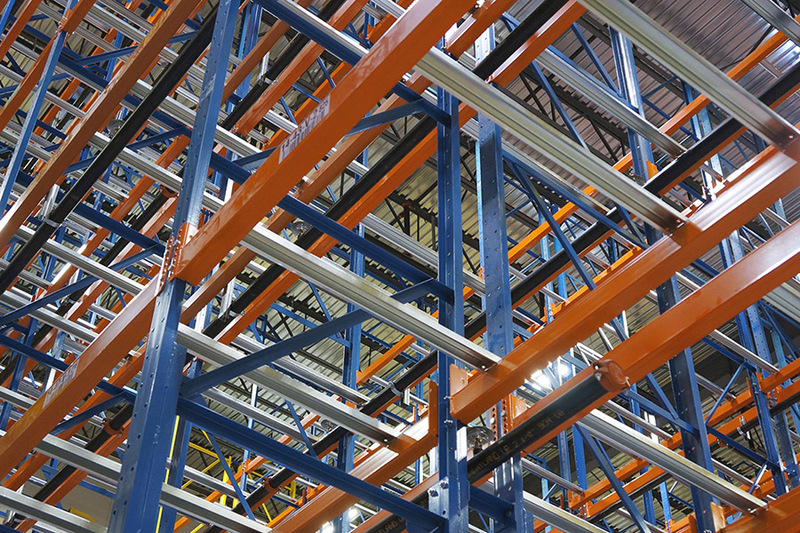 Safety Bars prevent misplaced pallets from accidentally falling through the horizontal beams in a racking system. 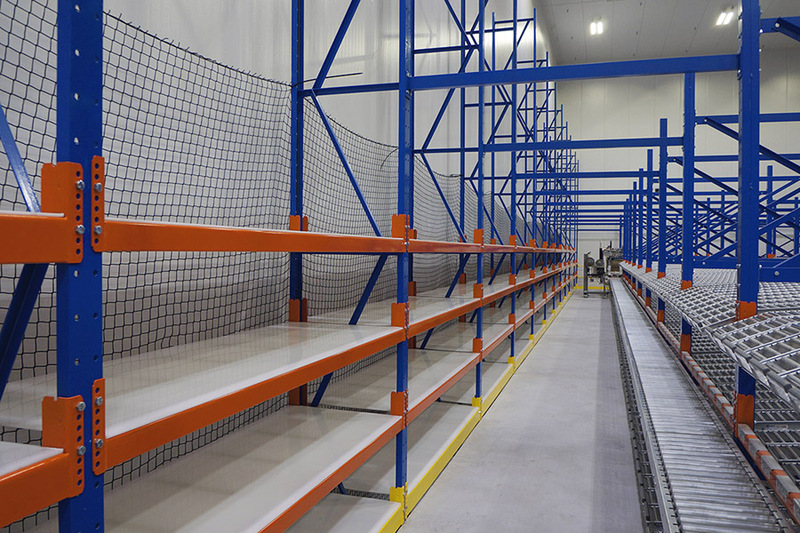 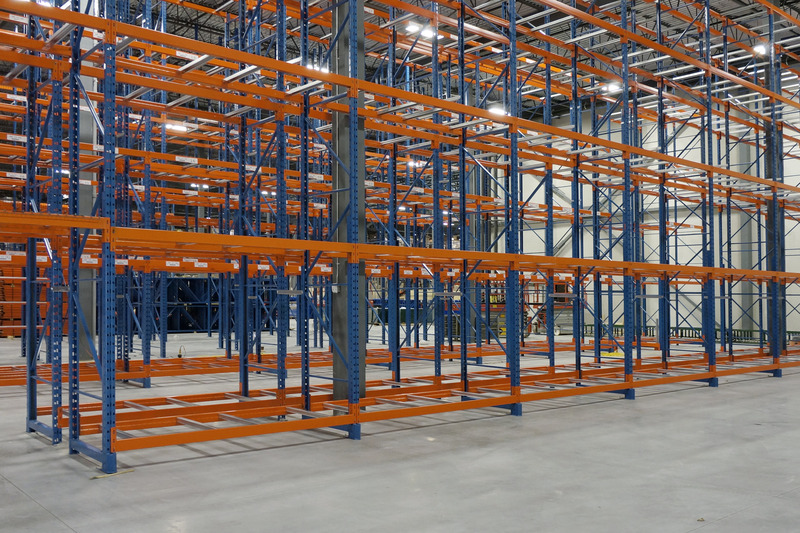 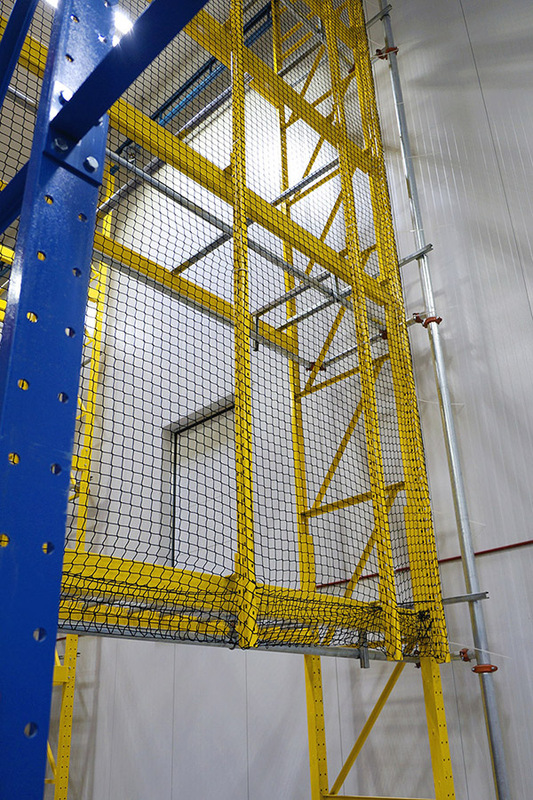 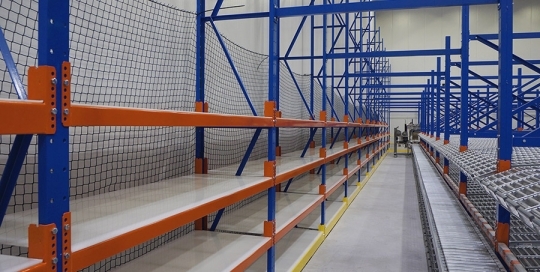 Wire mesh decks provide a strong, cost-effective shelf for the storage of non-standard pallets or non palletized items within a standard racking configuration. 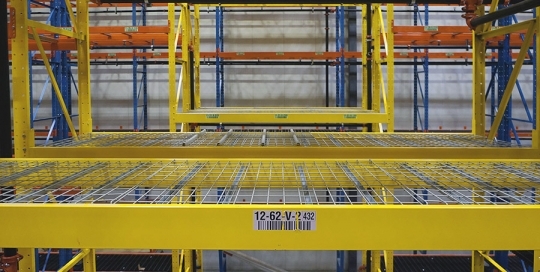 Safety netting installed at the back of pallet racks helps prevent costly accidents by keeping loads from falling off the back. 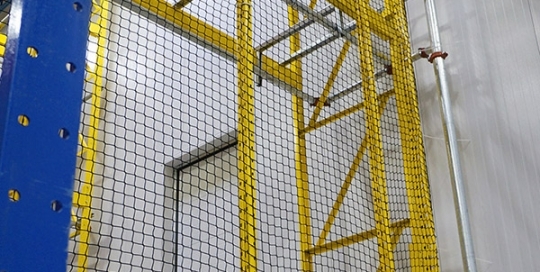 This netting is especially critical where pedestrian pathways are behind the rack. 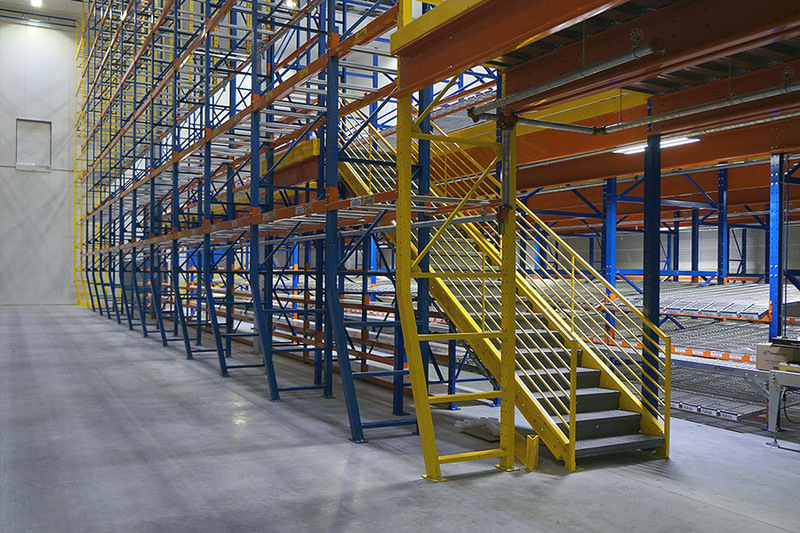 View from 1st level of the pick tower at the stairs leading to the 2nd level. 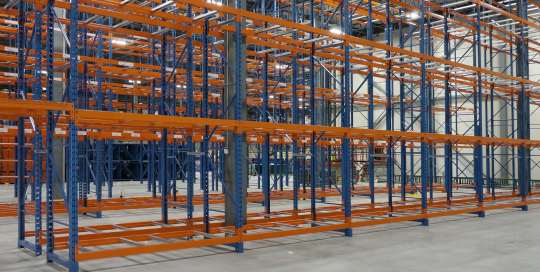 Pick towers are ideal for distribution centers with a high degree of volume output and breakdown of palletized loads into cartons. 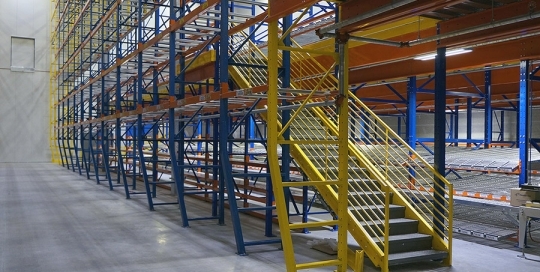 View from 2nd level of the pick tower with rows of span-track carton flow racks next to a conveyor on one side and high density PVC on roll formed racking on the other side. 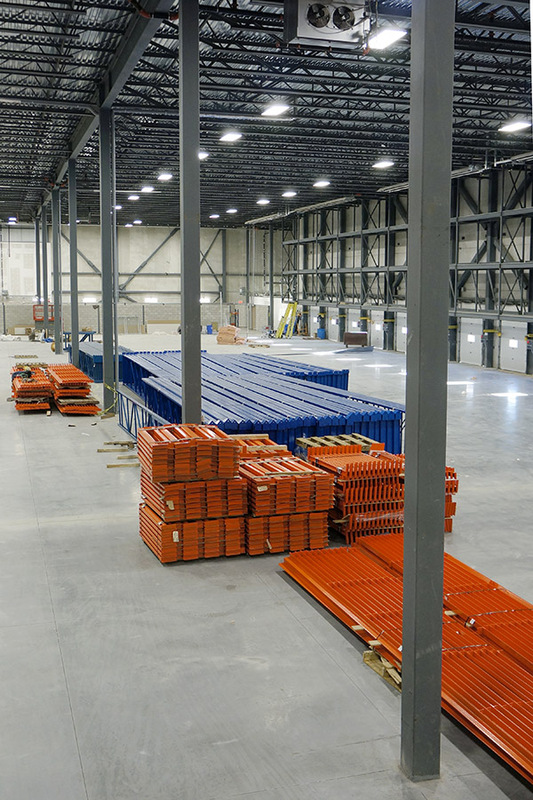 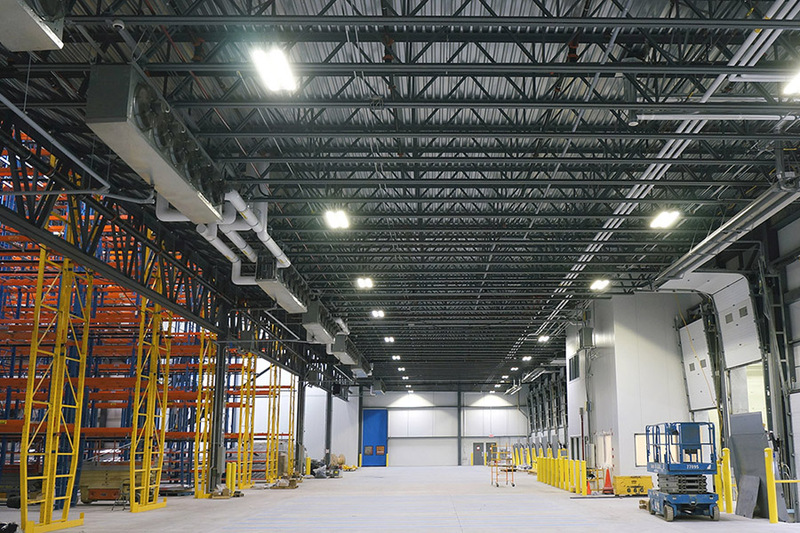 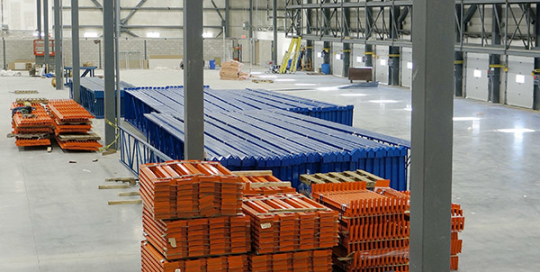 Rows of stacked roll-formed pallet rack rails and beams readied for installation in Bouclair’s new warehouse facility in Montreal. 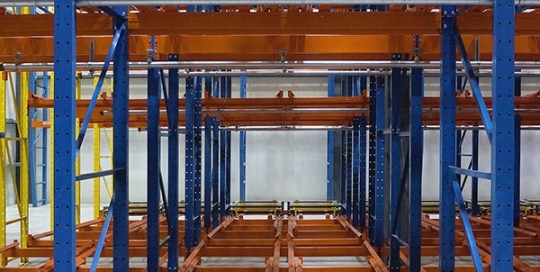 View of newly installed double deep selective roll-formed racking system.